The name of Frederic Chopin is well known worldwide among lovers of classical music. 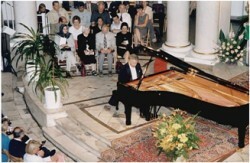 His mazurkas, etudes, polonaises and scherzos have become a test of measure of any pianist's talent. The stay in Warsaw gives an excellent opportunity to sample his music in his native country. 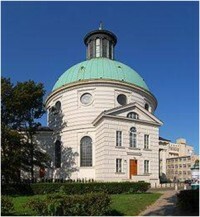 The piano concert will take place in the Holy Trinity Lutheran Church – built in 18th century as a one of the first neoclassical buildings in Europe. A selection of Chopin’s masterpieces, such as études, mazurkas, polonaises, nocturnes, impromptus, préludes, and scherzos will be performed by an excellent pianist.